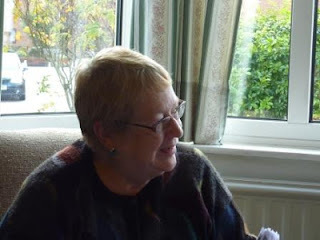 Sue was CEO of the Society for Endocrinology for 20 years and set up its trading subsidiary, BioScientifica, which provided secretariat and publishing services for a range of other societies in the UK, Europe and USA. She has been using her combined publishing and society management experience to identify the key variables that will affect journal income and sustainability in the future, and to establish a range of potential scenarios, which can then be modelled quantitatively and followed over time. “I've been using scenario planning techniques for many years to aid strategic planning by quantifying uncertain variables. The advent of the financial crisis led me to use the technique to develop a spreadsheet to track the effects of changes in key financial variables at the touch of a key. So, if the value of the society’s investments went down, or journal attrition varied from budget, I could put this in the spreadsheet and immediately see the effect on the society’s surplus and total value over a two-year period. It became clear that only a relatively small number of variables really made a difference, and I am now using a similar technique to model society publishing incomes for STM and AHSS journals. ALPSP is delighted to be working with Sue Thorn Consulting on the Open Access: Scenario Planning for Societies seminar on 20 March at the Royal College of Pathologists in London. It is an opportunity for our society members to share in Sue's expertise as she introduces delegates to the concept of using scenario planning to model potential changes to journal income. Sue will be joined on the day by ALPSP Chief Executive, Audrey McCulloch, Caroline Black from The Biochemical Society at Portland Press, Victoria Gardner from Taylor & Francis, Judith Willetts, CEO of the British Society of Immunology, and Jane Winters from the Institute for Historical Research, for panel discussions that will explore what societies may be able to do to deal with any potential drop in their income. The day will be held under Chatham House rules and will be interactive, with delegates encouraged to bring forward particular issues for discussion. Book now on the ALPSP website where full details are available. 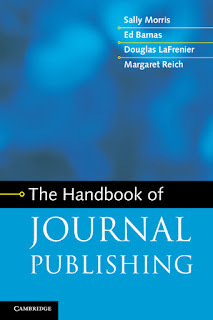 Sally Morris is co-author of The Handbook of Journal Publishing. After a successful career in scholarly publishing, Sally was Chief Executive of ALPSP from 1998 to 2006. Here, she reflects on the process of writing a new edition of a much-valued industry handbook. "I had been in the books side of publishing for more than a decade when I was offered the opportunity to move over to journals. I jumped at the chance – I could see that there were all sorts of differences from books, which seemed both interesting and exciting. It wasn't just the way the money flowed (at least for an established journal) – first in from subscriptions and then out issue by issue, rather than the other way round for books, with editing and production costs coming in first and sales income afterwards. Even more, it was the way that a journal has a continuing life; you can monitor what's happening, make small or large changes as you go along, and see the results. But I knew I had a lot to learn. Luckily, a book soon came along which answered all my questions – Journal Publishing, by Page, Campbell and Meadows. I read it avidly and kept it to hand for frequent consultation. And when CUP published an updated version ten years later, I devoured that too, even though I now had a fair bit of journals experience under my belt. But a lot has changed since the late 1990s. That was the very beginning of the e-journals revolution, which changed almost everything about journals – not just their delivery, but their processing, their functionality, their sales, and even the available business models. The book was in urgent need of updating or replacement. Friends had said to me, when I retired, 'You should write a book'. So I talked to Bob Campbell about collaborating on a new edition. However, as discussions progressed it became increasingly clear that just about everything in the book would need to be updated, and that it made more sense to start afresh. The original authors didn't want to participate in writing a completely new book, and I certainly didn't know enough to cover all the angles myself. So I need to find one or more co-authors. This is harder than it sounds! Many attempts fell by the wayside. But eventually I was delighted to enlist the help of three good friends from the USA – which made excellent sense, since there are many more journals published from there than anywhere else - Ed Barnas, Doug LaFrenier and Margaret Reich. Between us, we encompassed experience of all types of publisher: learned society, university press, commercial. We had worked in a wide gamut of subject areas, from the sciences to the humanities. And we covered most aspects of the business: editing, production, marketing and sales, distribution, finance, copyright. Even so, we needed to enlist the help of many of our friends and colleagues who were more knowledgeable than us about specific aspects, such as distribution and metrics. Gathering and writing up the information was a marathon exercise – we all needed to scour existing sources to supplement what we thought we knew, and to provide useful references for readers who wanted to delve deeper. We wanted to provide a really practical, 'how-to' book with lots of checklists, worked examples, a glossary, and lists of useful resources. It was no longer appropriate to deal with e-journals as a separate topic – they are now fundamental to every aspect of journal publishing. And neither did we feel it was appropriate to cover Open Access (in all its flavours) as a separate topic – it has become part of the range of options that are available to all publishers. Simply project-managing the status of all the different chapters and appendices was a challenge in itself. And we all had questions for each other, and comments on each other's sections. And we kept finding things we needed to add or update, right up to the page proof deadline! The stages between delivery of the finished script and publication seemed to take forever, although in reality it was only a matter of months – but we were impatient to see the finished product! And now it has arrived – it's exciting to see our 'baby' in the flesh (and to know that an e-book version will be available soon), but what we will find most satisfying will be to find out that journal publishers, particularly those who are relatively new to the field, are using it and finding it helpful. So please let us know what you think!" Cambridge University Press is running a special offer for ALPSP members. Order now to get 20% discount.